After the Pope left the Capitol today , the U.S. Senate took another procedural vote on a bill to defund Planned Parenthood, this one linked to a stop-gap measure to fund the government. Sen. Lisa Murkowski was one of eight Republicans to vote against advancing the bill. She sided with Democrats who say cutting Planned Parenthood funds would limit access to healthcare and contraception. As expected, the bill failed to get enough votes to move. Senate leaders have teed up another bill to fund government, without the controversial Planned Parenthood part. 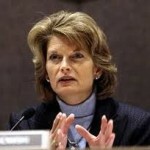 Murkowski is unpredictable on bills related to abortion. In August, she voted to advance another bill to defund Planned Parenthood, saying she hoped to limit the bill’s effects with a later amendment. Even a few hours before the vote this afternoon, Murkowski couldn’t say which side she would choose. “I have made very, very clear to anyone who is within range of listening that I do not support shutting down the government. Period,” she said. But the senator says she doesn’t believe federal funds should be cut off to all of Planned Parenthood. Nationally, Planned Parenthood has been under fire after staff at some affiliates were allegedly videotaped discussing the harvest of aborted fetal parts. Laws already ban spending federal money for abortion, but anti-abortion groups say Planned Parenthood is able to perform more abortions because its clinics are supported with federal money. Sen. Dan Sullivan voted with the majority of Senate Republicans, in favor of advancing the bill. 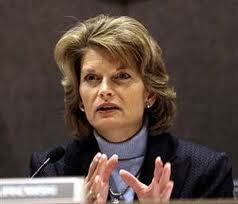 Murkowski said before today’s vote she needed to see the details of the legislation. Murkowski also explained why she missed a vote on Tuesday on another abortion bill, that one to ban abortion after the 20th week of pregnancy. The senator says she was in Texas, raising money for her re-election. “I had made, months and months ago, made arrangement to do a fundraising swing, and had put in place these plans at the early part of the summer,” she said. Murkowski says when she made her plans, she predicted the Senate would not have any votes that day, and that turned out to be the wrong call. “I do regret not being here for the vote, because that’s your responsibility,” she said. The abortion ban also failed to get enough votes to pass. She disappointed anti-abortion groups then with a statement indicating she wouldn’t have supported the bill anyway. Murkowski says she could support a late-term abortion ban, as long as it had adequate exceptions.